Are You Sure You Really Want the Headaches? Selling a home is a complicated, time-consuming process. Pricing, advertising, open houses, showings, negotiating the deal, writing up the documents with the right terms and conditions, and collecting initial payments all take time and expertise. Sellers who do it themselves intend to save the commission, but Buyers of 'For Sale by Owner' homes also want to save the commission, so they offer less. Because we work daily in the real estate market, we have a good understanding of changes in pricing. We research the pricing of homes similar to yours in your area. 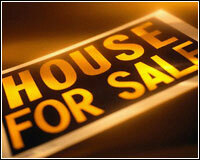 When you start at the right price, you are more likely to sell your home quickly and for the best possible price. A property tends to 'depreciate' in value the longer it is on the market. We market your home through the MLS system to the truly serious buyers who are working with a Realtor. Through the MLS system, your home is advertised 24 hours a day until it is sold. Only qualified Buyers will see your home. No "baseboard kickers" or "nosey neighbours" will go through your home. We provide expert negotiating assistance so you are not taken advantage of by investors or bargain hunters. We know the terms and conditions that should be written into a contract. A Homeowner selling privately can expect to spend about 80 hours of their personal time to sell their home. We take care of all the details so you don't have to! When you list with us, you get a professional, reliable Real Estate Team, your home will be priced correctly, you'll have 24-hour MLS advertising, and you'll be placing your home before the most qualified potential buyers. SIGN ON NOW FOR INSTANT ACCESS TO HOMES LISTED IN Edmonton!